No for real, where the heck is Ant-Man? On Friday morning, Marvel unleashed a new trailer for Avengers: Infinity War, the movie that all 18 previously released movies in the Marvel Cinematic Universe have been building up to. Thanos, the Mad Titan, has arrived on Earth, and he wants our heroes’ Infinity Stones so he can destroy half the universe. It’ll take the combined might of Iron Man, Captain America, Black Panther, Doctor Strange, the Guardians of the Galaxy, and well, basically everyone else to fend him off. The new trailer is epic, but it does raise a bunch of questions about the film, as trailers are wont to do. Here are five of the biggest questions we’re pondering. It’s looking increasingly likely that the final Infinity Stone, the only one we haven’t seen in a Marvel movie before, might not be part of Infinity War. For a while, fans thought we’d see the missing Soul Stone in Black Panther, but it was MIA in that flick too. The new Infinity War trailer doesn’t explicitly show the Soul Stone, so we’re still in the dark about its whereabouts. 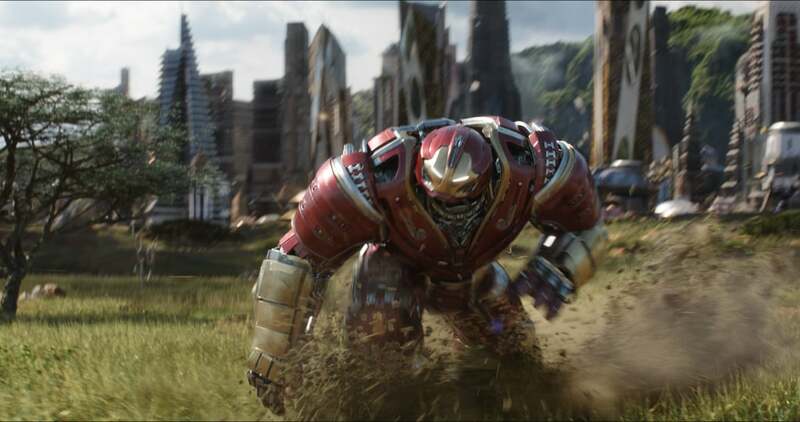 At one point, Tony Stark says “we have what Thanos wants, so that’s what we’ll use,” and later we see what looks like a big last stand in Wakanda. Is Tony specifically talking about the Soul Stone, which could, for all we know, still be in Wakanda? Or does he just mean the yellow Mind Stone in Vision’s forehead? Where is that dang thing? Sure, you can joke that Ant-Man is so small that he could technically be in every shot of the Infinity War trailer (I have done exactly that, actually), but it’s still kind of weird that Paul Rudd’s size-changing hero hasn’t made a visible appearance in any of the trailers. He’s also not in the new poster Marvel just released, which features basically every other character. Supposedly, Rudd is in the film, and Infinity War is going to do a lot of setting up for Ant-Man and the Wasp. If he goes on some tiny mission to the Quantum Realm, the trailers sure as heck aren’t teasing it. How Does Thanos Get the Stones? In most of the trailer, Thanos already has the blue Space Stone and purple Power Stone, and the first trailer showed that he somehow gets the Mind Stone from Vision’s dome. But, how does he get those first two Stones? Thanos is reportedly going to do something horrifying in the first 5 minutes of the film. It would make sense if he either gets the Power Stone by leveling Xandar, the planet the Guardians of the Galaxy saved in their first movie, or by attacking Thor and Loki on their ship, as foreshadowed by the first Thor: Ragnarok post-credits scene. We didn’t explicitly see it in that movie, but Loki swiped the Space Stone/Tesseract from Asgard’s vault. Thanos wants that stone, and he has beef with Loki thanks to his actions in the first Avengers. The new trailer showed Loki standing around with Thanos’s henchmen, so it’s possible that he joins up with Thanos and gives him the Stone. It seems more likely, though, that Thanos might kill Loki, which would certainly be a dramatic start to the film. In the original comics, Thanos does what he does because he is literally in love with Death — not the concept, but Death personified in a female form. That’s a little much for the movies, at least for now, but Thanos still needs a reason to do what he does. Gamora says he’s always wanted to destroy half of the universe, and later Thanos talks about “balance,” lovingly. Flashbacks to Thanos and Gamora’s past, which this trailer confirmed we’ll see, will probably explain more, but the trailer raises as many questions as it answers. This is probably the biggest question fans have going into Infinity War, and while there’s no way that Marvel would just straight-up reveal who dies in a trailer, the new spot does seem pretty ominous for several of our favorite heroes. Both Iron Man and Captain America — two characters whose actors happen to have contracts that have just about run out — find themselves on the other end of Thanos’s fist. Fans have long suspected that one or both of those characters might bite it in Infinity War, but the new trailer also puts Thor, Loki, and Doctor Strange in rough positions. Plus, the last trailer confirmed that Thanos gets the Mind Stone, which might spell doom for Vision. Hopefully, we’ll find out the answer to all of these questions when Infinity War premieres on April 27, 2018.